Keynote speaker Rosana Reyes spoke about how the challenges King addressed in the 1960s are still relevant today. Due to a condensed schedule on Tuesday, Jan. 22, the commemoration event for Martin Luther King Jr. Day was rescheduled to Thursday, Jan. 24. Despite the reschedule, the event saw a large turn out of faculty, students, and community members with the first floor lounge of the Henry Student Center filling up to the point that some attendees had to stand. 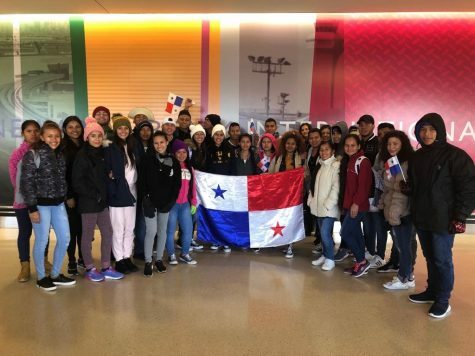 The theme for this year’s commemoration event was “Do the Right Thing,” based off of a King quote which said “The time is always right to do the right thing.” The event consisted of numerous speakers and student performances. The commemoration was sponsored by the Campus Interfaith Office and Diversity Affairs. Due to a condensed schedule on Jan. 22, the commemoration event for Martin Luther King Jr. Day was rescheduled to Jan. 24. Despite the reschedule, the event saw a large turn out of faculty, students, and community members with the first floor lounge of the Henry Student Center filling up to the point that some attendees had to stand. 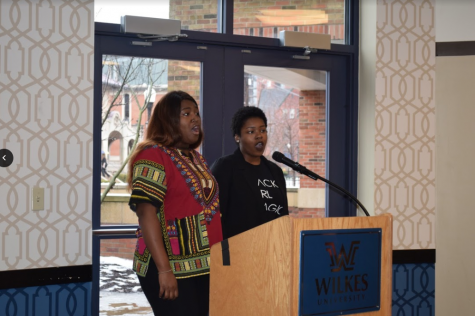 The event opened with the singing of the American National Anthem by Wilkes student, Mmachi Dimoriaku and was followed by the singing of the Black National Anthem by Mmachi Dimoriaku and Brianna Rowland. Kristin Osipower, the interfaith coordinator, gave the invocation at the event. The Black National Anthem, “Lift Every Voice and Sing,” was sung by students Mmachi Dimoriaku and Brianna Rowland at the commemoration. After the poem, President Patrick Leahy spoke about the event stating that the event’s postponement should be seen as a positive as it reflects Wilkes University’s stance that Martin Luther King Jr. Day is a day off. Leahy then used King’s famous quote, “If you cannot fly then run, if you cannot run then walk, if you cannot walk then crawl, but by all means keep moving,” in order to encourage both students and faculty to keep striving to do their best throughout the semester. After Leahy spoke, Abie Pessima, a junior at Wilkes, read the poem, “Still I Rise” written Maya Angelou. After the event Pessima gave insight to why she chose the poem and the connection it has to the event. “I picked it because it honestly inspired me and it connected with (the theme of) do the right thing, we are still rising to the top to try to do better and fulfill our dreams. I am the first to come to college out of seven kids, it is just like okay, let me do this so my siblings can follow my footsteps. Honestly, we need to just get people engaged, keep motivating them to do better and involve them more, do not put people down. It doesn’t matter your race or the color of your skin, it just matters about keeping your head up, motivating people, and moving forward,” said Pessima. 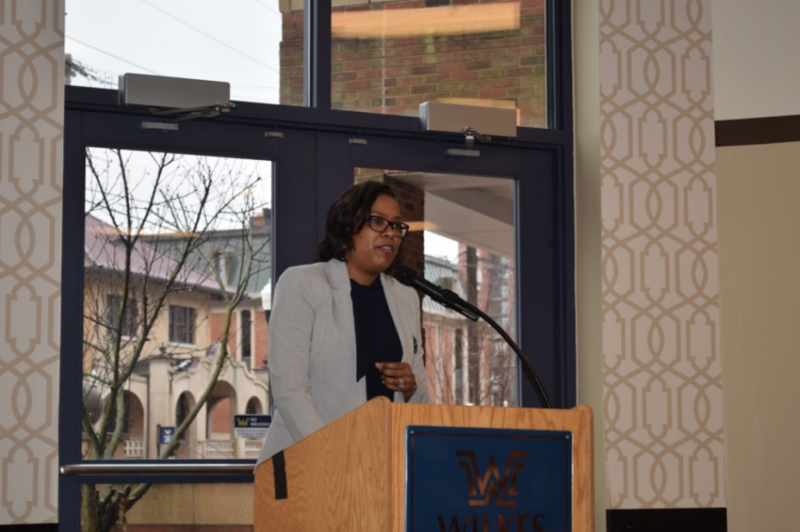 The keynote speaker was Rosana Reyes, vice president of enrollment management and student development at Luzerne County Community College, and is pursuing a doctorate in educational leadership from Wilkes University. Reyes spoke about Reverend Dr. Martin Luther King Jr. and how his actions and beliefs were focused on fighting challenges that society is still experiencing today. Reyes addressed King’s speech “Remaining Awake Through a Great Revolution” in which King addressed four different approaches to challenges that society was facing at the time of his speech. The first challenge was to acknowledge that the global world had become connected into one neighborhood because the actions of one person impacted that of another. The second challenge was to rid the nation of poverty, while the third challenge was to find an alternative to violence. The final challenge was to eradicate racial and social injustice from our nation, whether it was spoken or unspoken. To close out the event, the Wilkes African Cultural Association performed traditional dances. President of WACA, Mmachi Dimoriaku spoke after the event about the culture and tradition behind the dances. The performance by WACA was one that combined many different cultures and traditions without any individual one losing its importance or meaning, a concept reflecting one of Martin Luther King Jr.’s ideas that everyone is interconnected, and that each of us has an impact on others.